I have tons of buttons thanks to massive $1 tub deals on TradeMe and lots of bits and pieces from card-making which I used to do all the time. As before I printed a suitable size "A", cut it out and lined out the shape with pencil on white card. Then arranged and lay out the initial base layer. After that came filling in the edges and gaps with little brads and beads. Pop it in a frame and done! 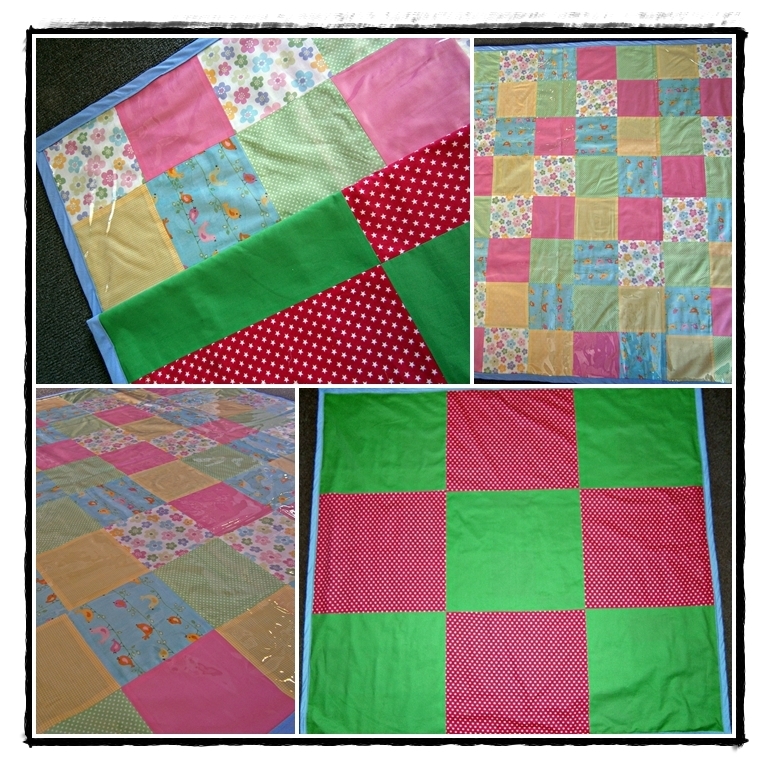 I have a few projects lined up for the next couple of months - all Christmas presents for children of friends and family. One I'd been holding out to do was an idea I saw in a book well over a year ago now - letters of a child's name cut out of fabric and placed in picture frames! So simple, so fun. The basic white frames came from Spotlight on sale ages ago and I already had heaps of fabric options. I printed letters in the right size for the frames and used them as outlines on the fabric. The backing rectangles were cut larger than the inside measurements of the frame to fold over the edges. Mixed and matched colours and patterns, sewed letters on to background fabric, glued the edges on the outside of the backing inserts. You could alternatively also use pinking scissors, and also just glue the letters on . The glass was cleaned inside and out and I used a lint roller to pick up any stray fluff or threads (be careful though with the raw edges as they might fray and pull away) and tidied up the loose edges, corners and strands. Then put it all together and voila! One of my favourites, Super easy, Super YUM! 1. Preheat the oven to 180'C. Grease a 20cm deep round cake tin. 2. Combine all ingredients in bowl, mixing well with a wooden spoon until the batter is smooth. 3. Pour mixture into cake tin and bake for 40 minutes. 4. Remove from the oven and stand the tin on a cooling rack. to make the syrup, gently heat the sugar and lemon juice in a small saucepan, stirring until a clear syrup is formed. Do not boil. 5. Prick the warm cake all over with a fork, then gently pour the syrup over it, until it has been completely absorbed. 6. Leave until cool, then carefully ease the cake form the baking tin. 7. Sift a little more icing sugar on the top before serving. 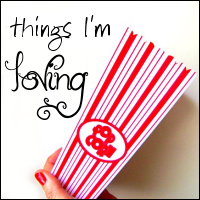 Linking up with the funny Stacey for this week's Wordless Sunday. One of my favourite recipes - definitely one of the best Crumbles EVER. The Crumble with Macadamia Nuts is awesome. Place all the ingredients in a large saucepan, mix together and place on medium-high heat. Simmer for about 15 minutes until the fruit just starts to break down. Pour into your favourite ovenproof dish. The fruit should be 3-4cm deep in the base. Place all the ingredients except the cream in a large mixing bowl. Rub together by hand until the mixture begins to come together, but is still quite coarse. There should be no visible chunks of butter. Spoon the crumble evenly over the rhubarb mix then refrigerate until required. Preheat the oven to 200'C then bake the crumble for 20 minutes or until the topping is golden and crisp. Dish out the crumble into bowls and serve with whipped cream or ice-cream (as we do!). Now on to the next thing! Anya chose some fabric from my stash and an hour later...Voila! Even the "seatbelt" is functioning now! Safety 1st!! 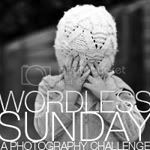 Linking up with Resplendent Renee today for Wordless Sunday: A Childhood Memory Revisited. ♥ Using the leftover sweetened condensed milk to replace sugar and milk in my coffees! Beat in the condensed milk and vanilla. Stir in dry ingredients and chopped chocolate. Roll into large walnut-sized balls and place on cold, greased oven trays, allowing some room to flatten. Flatten with the palm of your hand. Cool then remove from trays and store in an airtight container. It's a deliciously buttery chocolaty cookie. I don't really change much to this recipe. I use Nestle cooking chocolate (chopped into big chunks) or Nestle Dark Chocolate Melts (broken in half). I flatten them with a fork or the heel of my hand and they don't need more than 15 minutes in my oven. They also don't last long in our house! So, I haven't read The Book Thief or A Thousand Splendid Suns... as much as I would have liked to! I haven't read either before but am dead keen and having read The Kite Runner a few years ago I know what a talented writer Khaled Hosseini is. I am still working my way through my July book which I started before joining up with the bookclub. I will finish it very soon though and then hope to join in the review for August's book! 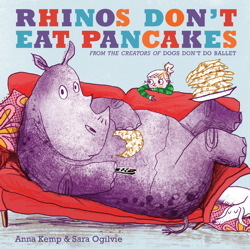 In the meantime I can make a different contribution - we are always reading new children's books and the highlight of this month was: Rhinos Don't Eat Pancakes by Anna Kemp & Sarah Ogilvie. This is an absolutely delightful story with a little subtle lesson mainly for parents - to take time to REALLY listen to our children... before it's too late and all the pancakes are gone! My 3 year old adores and grasps the story fully. The 2 year old loves the illustrations and loves listening to the story but is more enamored with the slightly simpler Dogs don't do Ballet also by Anna Kemp & Sarah Ogilvie. Another sweet story about Biff, a little dog with big dreams. So there's my review - hopefully it's useful to someone! It's been a bit quiet on the western front - but I'm happy to report that thankfully we're all improved and had a happy week! Monday: Great fun learning another new game. Wednesday: The girls invented a new game: Hospital (aka our entrance-way). All the animals are patients and receive impeccable personal care and attention while recuperating from all manner of illnesses and accidents. Friday: Fun with milk and colours as seen on clever Renee's blog! Saturday: A super fun smiley day... really! Soon I'll post a delayed Wordless Sunday and Bookreview!